Can Laughter Improve a Persons day? I personally find it very healthy to laugh when possible, which is why I surround my self with friends that are capable of this, as it triggers emotions such as joy. One good joke could change my day right around. Ive always heard the saying you should laugh, think and cry once a day who was first said by the late Jim Valvano. My Null hypothesis is that laughter can improve a persons day. While my reverse hypothesis is that laughter creates no change in a persons mood. The Mayo Clinic has said that laughing at anything during your day will help relief stress, anything from TV to newspapers that you would find funny. Its said to make the load on your mental state decrease, while this may only be short term. 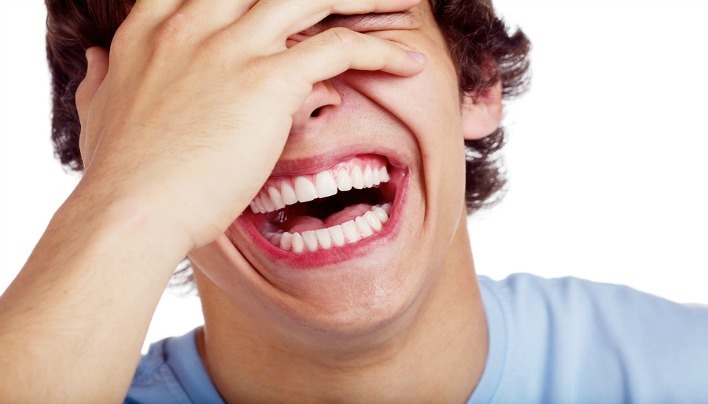 Your body is also affected with laughter, boost in endorphins that are released to your brain. This is one that affects me personally the most noticeably when I laugh, it almost feels as if I am on a drug for a few minutes. Your muscles, and heart also are shown to be stimulated. You might be wondering how does laughing affect my heart, well it can increase blood pressure and heart rate. This leads to a more relaxed state, and may feel good. As for your muscles, laughing releases tension build up, by simulating circulation. These are all short term affects. As for some long term affects of laughter, a persons immune system can be affected. Being in a bad state of mind can affect your body, which weakens you immune system due to the added stress. Laughter can also act as a painkiller, it may not work as well as a prescription depending on your pain level but has been found to help in lower level pain situations. This last one has affected me many times, your mood can change. Its been found to help with anxiety and depression. Laughter is the best gift you could give someone without even knowing it. Many people go through their ups and downs and you could make someones day just a little better. A study was done called Laughter prescription, by Dr.William B. Strean in 2009 which cited a few other studies to back its claims. In his study he claims that laughter could be linked to improve natural killer cell activity, which is common in people with cancer or HIV. Laughter has been encompassed into cancer recovery showing positive results. Studies have shown that at least 50% of cancer patients used humor therapy. More research has to be done on why and how laughter can affect our bodies so greatly. But laughing could one day be recommended or prescribed by your doctor, as it has proven to show an increase in many areas of the body and mind. While some studies do refute some of these claims such as reported studies on the physiologic effects of laughter having no affect. However many refute these claims, and I think that we just need to do more testing on the subject. As of today laughter is still widely considered a coping mechanism. We may not have all the answers to how laughter helps certain health problems yet, but doing so is in no way going to hurt your body so why not laugh. Knowing all this new information I would defiantly love to go to events like live comedy shows. If its going to enhance ones health, while they have a good time, why would you not. For me I am so busy most of the day I forget how taking time aside to laugh or laughing with someone can change their day around. I have come to the conclusion that the Null hypothesis is correct. But further studies may show further benefits. When I think about Silicon Valley, I think about a bunch of geniuses creating new codes, websites, and gadgets. But what if I told you that some of them are partaking in using drugs to gain an edge? Rather then hacking electronics, they are attempting to hack their own bodies. I would like to know how well these drugs mixed together work, they have been put into a new class of drug called Nootropics. Which are legal but not FDA approved. The Null hypothesis is that Nootropics do not provide any valid increase toward work performance. While my reverse hypothesis is that Nootropics do provide valid increase toward work performance. 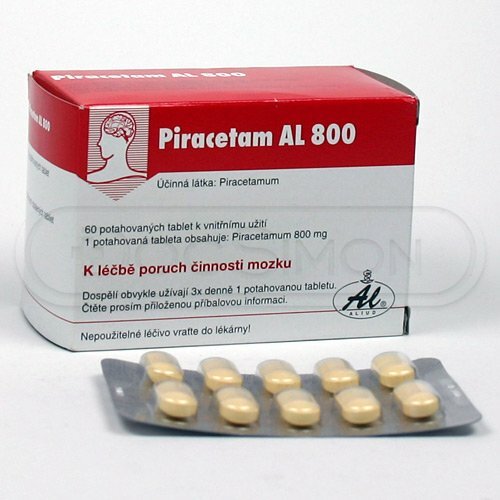 These drugs under the the class of Nootropics are aimed to enhance cognitive function. Most are not being regulated by the FDA but rather sold online as supplements. There have been a few studies, but most of them remain untested. With the abuse of these drugs rising in places like Silicon Vally I found a few that have been studied. The first being called Modafinil, is marketed to decrease fatigue and increase mood. 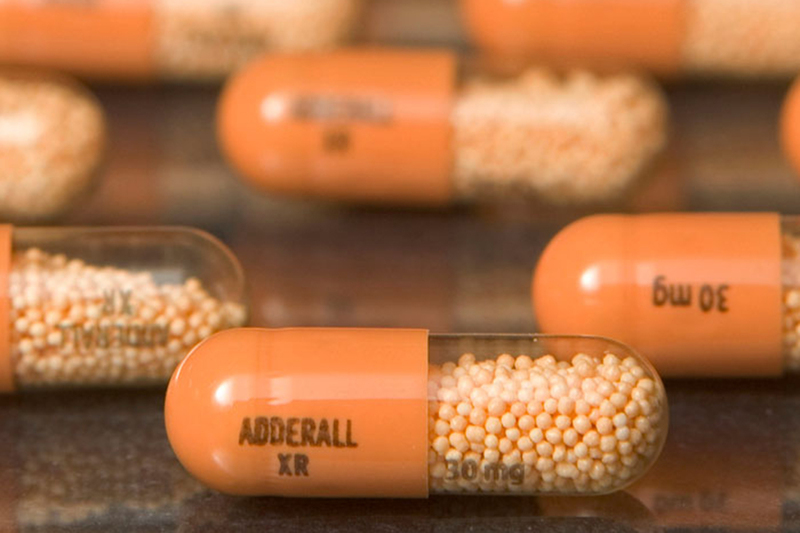 Medically the intended use would be for patients that suffer from narcolepsy and ADHD. The drug underwent a double blind, placebo-controlled study with 64 healthy people. Both groups would be tested using HSCT, which is The Hayling Sentence Completion Test. Its a spoken test with 15 sentences all with the last word missing and the subjects must complete the sentence. The second part is 15 sentences with a random word at the end, the subject must again come up with the last word to the sentence to replace the one that didn’t make sense. The first test will measure response initiation and second test will measure suppression. The conclusion was that both groups made the same number of mistakes but the Modafinil group answered significantly faster. The second study is for a drug called Piracetam which is marketed to boost brain function. But tested to medically treat for dementia and cognitive impairment. The drug was given in a blind placebo study to patients with varying types of dementia and Alzheimers. The data was taken by independent reviewers. Analyses were preformed where the patients lacked originally. The Global Impression of Change yielded the only significant results, this is where the patient rates how much better they feel after the study. The results came out inconclusive. Kevin Roose did some investigative journalism by going to Silicon Vally and taking a pre-stack (A few nootropics mixed together) of Nootropics called rise by a company named Nootrobox. The company was founded by Geoffrey Woo who graduated form Stanford in computer science. Kevin’s pre-stack includes, acopa monnieri, L-theanine, and caffeine. None of their products are FDA approved. After taking these on and off for a month Kevin was not quite certain of any advance gained by taking the drugs. In conclusion I would have to say there has to be more studies done on these drugs as some may work and some may not. I personally would not put any of these drugs that are untested into my body. But companies are making major profits, especially those targeting Silicone Vally. I wonder if any of these drugs would spill into the college scene, especially the unstudied one’s that could pose danger. How Does College Impact Your Sleep Schedule? 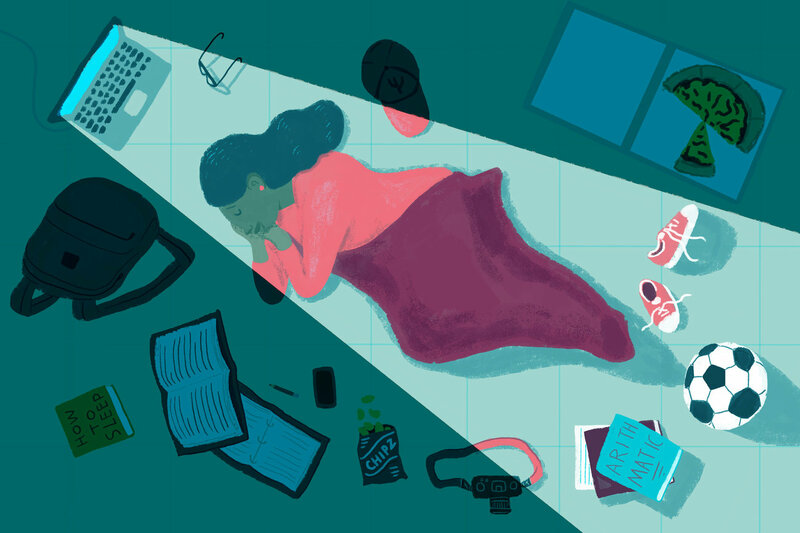 For many college students sleep isn’t on the top of their priority list. Not because they don’t want it or enjoy it but because there are more important things that take away from the time that should be spent in bed. Surveys have shown that one of the students biggest complaint when it comes to college is the lack of sleep. Each student has their own reason for lack of sleep whether its pushing off assignments till the last minute, late night studying, or partying more then they should. For me it was the a little of all these, especially the freedom of being away from home. Penn State is known for being a party school, with a reputation like that I wonder if its affecting students. If we are sleeping less how is this affecting us? The null hypothesis for this study is that going to college affects the time you spend sleeping due to your environment, which will cause negative consequences. While the alternative hypothesis is that the college environment doesn’t affect the time you spend sleeping. A study conducted at Arizona State University showed 56.8% of students get a good night of sleep at least 3 times in a week. But only 6.5% said they get enough sleep throughout the whole week. The top two reasons students gave for not being able to sleep were stress which 58% chose and depression/anxiety which 33% chose. The study also revealed students who chose to spend more time studying rather then sleeping had lower grades then the students who didn’t lose sleep over studying. With 81.3% of C students using time they should be sleeping to study while 69.2% of A students lost sleep time to study. The amount of time a person should spend asleep depends on a few factor such as age, physical health as well as mental health. College students fall into the adolescents category (13-24 years old), which means 9.25 hours of sleep is needed. Being stressed, depressed or anxiety could be a reverse cause due to not allowing enough time to sleep. Personally if I don’t sleep enough my mood can become lower causing depression and anxiety. As for losing sleep over studying could mean they are not studying over a larger period of time but rather cramming just before exams. 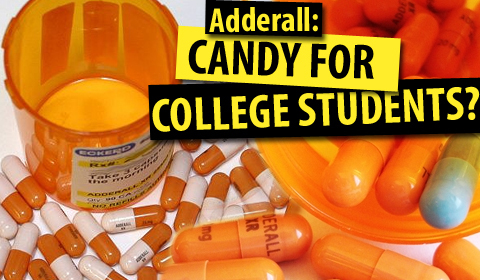 UC Berkeley conducted a study with 44 young adults, had them take test that focused on memorizing task. With the intent of focusing on the hippocampus of brain, which is responsible for memory. Then half of them would nap for 90 minutes while the other half stayed awake. After 90 minutes they given more learning exercises, the group who napped ended up showing improvement over their initial test. While the half that stayed awake did worse then their initial test. Electroencephalogram tests, which measure brain activity showed the group who took the nap was in a better state to take in information. This proves that we need sleep not only to process what we have learn but to recharge to be able to soak up more information. This study shows that if college students are not sleeping enough they will not be able to recall what they learn nor learn new information at the rate of someone who was slept. The study did not mention how long the subjects had been awake before the study and if it differentiated between groups, which could be a confounding variable. Duke University eliminated all 8 a.m. classes in 2004. James Clack, Duke’s director of counseling and psychological service addressed that students are getting four to five hours of sleep when they should get nine. He says its a cycle that their students are falling into not without knowing how unhealthy it is. They are also implementing an orientation for freshman that would inform them why sleep is needed. The university also noticed most student had classes beginning at 10 a.m. I think this is a great idea, personally I have tried to take an 8 a.m. class and had to drop it. I too at the time was not getting enough sleep and could have used an orientation on how important getting enough sleep is. There are consequences when you don’t get enough sleep such as becoming ill due to a lowered immune system. Lower academic performance as well as stress, weight gain, and mental health issues are all linked to lack of sleep. Some steps you can take to get more time in bed are, create a routine, set a bedtime and wake-up time, use your bed only for sleep, limit caffeine intake, and get some sort of physical activity in daily. The Null hypothesis proved to be right after reviewing the studies. Can The Party Drug Molly Help Treat Patients With PTSD? Most people might know MDMA for being a party drug which is commonly referred to as molly or ecstasy. Partygoers often take the drug to feel a euphoric high, but the drug has recently been used to treat patients who suffer from post-traumatic stress disorder. PTSD is a disorder that is caused by a traumatic experience in ones life such as war or sexual assault, which can cause flashbacks, feeling tense, angry outburst, trouble sleeping, and many other symptoms depending on the patient. Patients are given the drug under the supervision on a trained psychotherapist, which allows them to be able to discuss and look back on the experience that caused their disorder while feeling a layer of safety due to the MDMA’s affects. 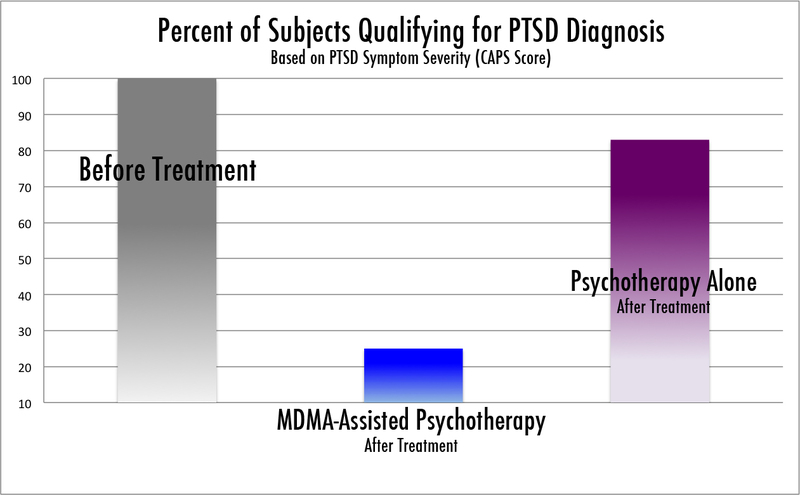 MDMA-assisted psychotherapy is for people who are not responding to traditional therapy for PTSD. In 2000 clinical studies of the drug was approved by The Food and Drug Administration, which is being carried out by the Multidisciplinary Association for Psychedelic Studies who also studies the benefit of drugs such as LSA, Ibogaine, Ayahuasca, Marijuana amongst other Psychedelic Research. People affected by PTSD are overcome with fear when it comes to the event which lead to their disorder. This can be a problem in treatment as patients are encouraged to revisit the sometimes terrifying event to overcome the fear. 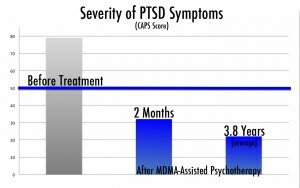 This is where MDMA comes into play, by reducing fear levels, allowing the patient to revisit the traumatic event in a way that brings more to the surface benefiting there treatment. The Null hypothesis of this study is that patients with PTSD, will have a positive affect on the patients side effects. While the reverse hypothesis is that patients with PTSD, will have a negative or no affect on the patients side effects. After only a few MDMA therapy sessions the patient should no longer need the assistance of the drug during treatment. In 2004 phase 1 was approved to be ran by psychotherapists who had completed a research therapist training program through MAPS. There was one small catch, each psychotherapists had to have their own MDMA experience in the same setting which their patients would soon have the chance to. Rick Doblin, founder of MAPS found this to be a very important part of the study as he wanted the psychotherapists to better understand what their patients would experience throughout the process. As of now seven psychotherapists have completed the training and have found it was beneficial not only professionally but also on a personal level. In 2015 a Phase 2 clinical study of the drug was approved by the FDA. This involves treating over 100 patients around the world to monitor exactly how safe and effective the drug is. The initial study included 20 subjects, which included some patients getting an inactive placebo with all the same therapy as those receiving the actual drug. (12 patients were given MDMA, while 8 were given placebos.) At the end of the study 25% of the patients who received the therapy and the placebo were free from PTSD. 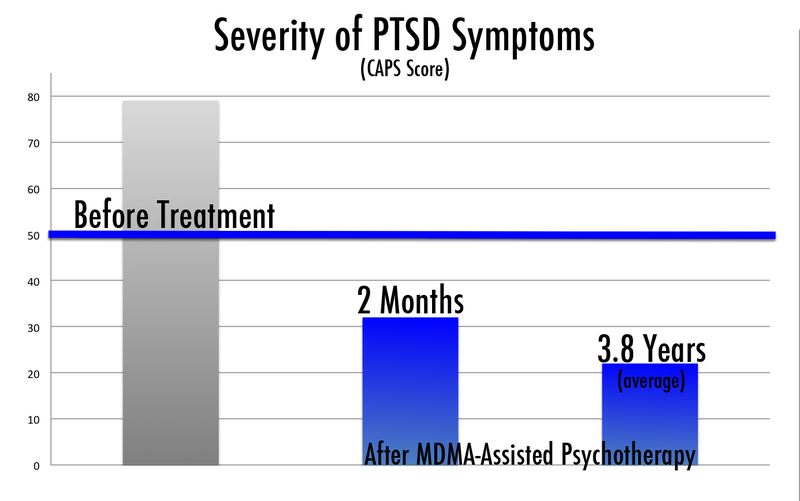 While 83% of the patients who received the therapy and the MDMA were now free from PTSD. The benefits of the treatment were reported to last an average of 3.8 years by patients. The rest of the studies are almost complete and should be published when MAPS applies for phase 3. MAPS has hopes that by 2017 they can come to an agreement with the FDA to how Phase 3 will be conducted, from there they will have four years to finish the phase. These trials will contain around 400 patients costing around $21 million, more then half of the money has already been raised. MAPS current estimate is to have MDMA-assisted psychotherapy be legalized by 2021. The sample size thus far has been small but this is due to how the FDA allows drugs to be tested. The study also faces the Drawer Problem as MAPS is the only group conducting studies to bring MDMA to the market. This is why the FDA is in control of what drugs are offered to the public. Up to this point in process the Null hypothesis has proven to be correct. This entry was posted in Uncategorized on October 18, 2016 by Brian A Vargas. Hello everyone! My name is Brian Vargas, I am currently a sophomore here at Penn State. I am in the Division of Undergraduate Studies, with the goal of being accepted into Smeal College of Business as a supply chain management major. I’m from originally from New York City but moved here to Happy Valley when I was 11. I initially enrolled in this course to fulfill part of my general education science requirement, but class has been surpassingly enjoyable thus far. My DUS advisor recommended the class for me as I don’t have much interest in pursuing a science major, but she had gotten nothing but good reviews. I can see why, most classes that don’t interest me tend to lose my attention during lectures but not this class. 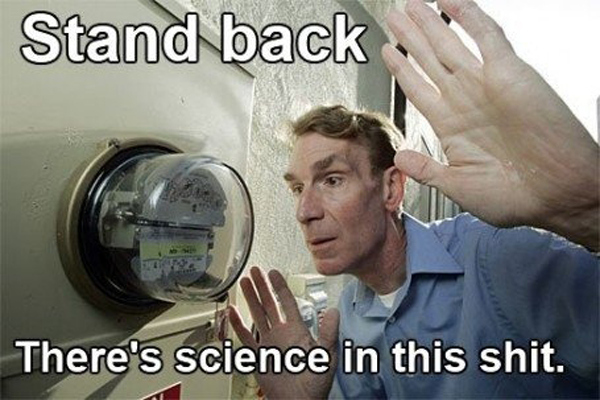 I’ve always struggled with science mainly because the focus of what we studied in High School had no appeal to me. Things that involve business have always intrigued me so hopefully I can relate some of my future blog post back to that with relation to science. This entry was posted in Uncategorized on August 31, 2016 by Brian A Vargas.